Early in pregnancy, your baby has plenty of room to move, as you’re probably well aware. My patients often share that it’s not unusual for them to feel a sharp elbow jabbing into their ribs, some swift kicks to their belly and even complete somersaults going on in there! 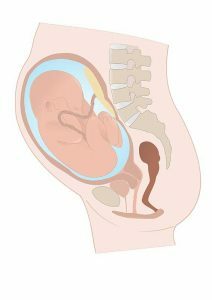 Usually, by week 34 the combined forces of gravity and the decreased “room to move” in your uterus leads your baby to settle head-down (in a vertex presentation) in preparation for birth. At term, around 3-5 percent of babies are not vertex, and those babies are said to be in a breech presentation. There are three common breech presentations: frank breech, complete breech and footling breech. If you ask a midwife, you are likely to hear that a breech presentation is just another variation of normal; ask most OBs, and you’ll hear that a breech presentation is abnormal. You’re also likely to hear that if your baby doesn’t turn before your “guess date,” you’ll be delivering via cesarean—and you have no other choice. It wasn’t always this way. Breech babies are a little more difficult to deliver vaginally than babies in a vertex position. As Jennifer Block writes in her book Pushed: The Painful Truth about Childbirth and Modern Maternity Care, “The breech baby demands patience; she rejects active management; she demands normal, physiological birth.” Many midwives talk about a “hands off the breech” approach for delivering breech babies vaginally. From years of observation and sharing their collective wisdom, midwives know that the more a woman and her baby are free to do their own thing, the more successful the outcome is likely to be. The perceived dangers of vaginal breech delivery had their roots in the first half of the 20th century; the assisted breech techniques of the day, which often combined heavy anesthesia, manual pressure on the uterus, and the routine use of forceps to force the delivery of the baby’s head, could not be further away from the normal, physiological birth that Block describes. One 1953 study found that “The more manipulation is performed and the earlier this manipulation is instituted, the greater is the fetal mortality and morbidity, to say nothing of maternal injuries.” But even in 1953, Europe was already far ahead of the US in their understanding of breech birthing—a full 15 years earlier, in 1938, the German obstetrician Erich Bracht presented an analysis of 206 successful vaginal breech deliveries without one fetal injury or death. Interest in the “Bracht maneuver,” essentially another version of “hands off the breech,” led to more than 30 trials in Europe and South America, all resulting in dramatically better outcomes for babies and mothers. Not one of those studies was translated into English. The result? In Europe, breech-birthing techniques continued to improve, while in the US, doctors increasingly turned to surgery. By 1978, 60 percent of breech babies were born via cesarean in the US, and by 1990, that number was 85 percent. Andrew Kotaska, MD, a strong critic of the “breech = automatic cesarean” attitude of most American OBs, had to travel to Germany to gain experience in vaginal breech delivery; not one North American program existed to accommodate him. It’s a dying art for one particular reason: the Term Breech Trial. Mary Hannah MD, a well-respected obstetric researcher, led a randomized controlled trial involving more than 2000 women carrying in breech presentation in 121 hospitals and birthing facilities around the world. The study, published in 2000 in the medical journal The Lancet seemed to show a significantly higher chance of “serious neonatal morbidity” in breech babies who were born vaginally. In the wake of the study, The American College of Obstetricians and Gynecologists (ACOG) recommended that planned vaginal delivery of a breech baby at term was no longer appropriate. 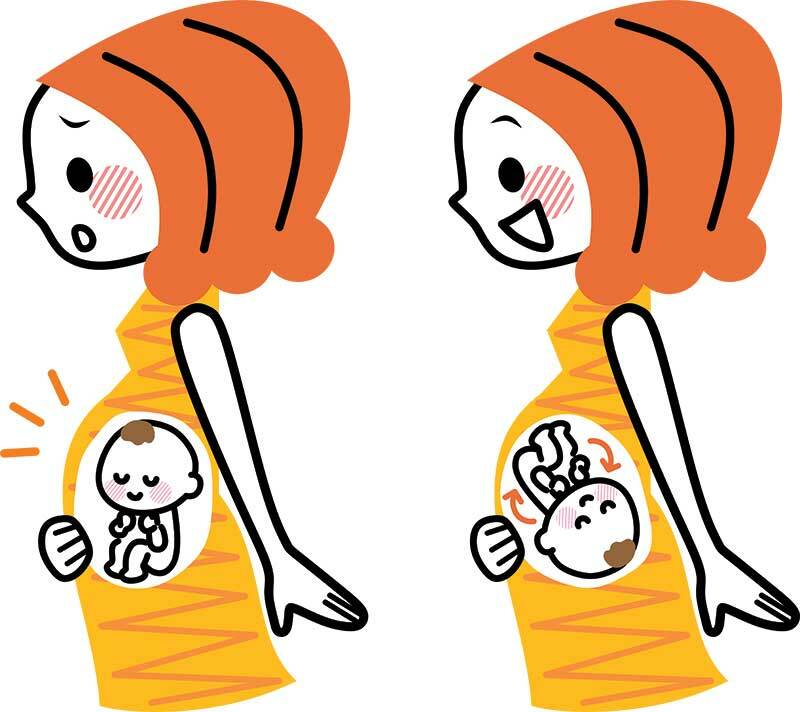 If you are late in pregnancy and your baby is in a breech presentation, you do have options. You can seek chiropractic care, acupuncture or moxibustion (offered at Berlin Wellness, of course!) to try to gently turn your baby. You can attempt “spinning babies.” You can ask for an external cephalic version (ECV), which should only ever be attempted by a highly trained doctor and assistants in a hospital setting; it is often painful, but the commonly referenced success rate is around 50 percent. If your baby will not turn, you can also seek out care from doctors willing to attend a vaginal breech delivery. Dr. Wu and Dr. Fischbein are your best options in Los Angeles. Homeland star Morena Baccarin hired Dr. Wu 39 weeks into her pregnancy, and she delivered her healthy, breech baby vaginally with his assistance. You do have choices. They are not always easy or cheap, and nothing is guaranteed—but at least for now, you still have some choices. It is up to you to stand up for choice. It is up to you to demand more, and better, if you discover your baby is breech late in pregnancy. I hope that if you find yourself in that situation, you will speak up and make yourself heard—you want options. You demand options. Only a united chorus of women will bring the option of vaginal breech back, and I ask you to join that chorus—even if you do not want to birth your breech baby vaginally, or you are not carrying breech, stand up for choice. Be heard. Make it just a little easier for the next mother who finds herself with a breech baby in late pregnancy… you can do that! You, mothers and mothers-to-be, can do anything. In all my years working with pregnant women, I am inspired over and over by what my clients achieve. You humble me every day. So stand up for choices. Stand up for heads up! Dr. Elliot Berlin is a prenatal chiropractor, childbirth educator and labor doula. He is the founder of Berlin Wellness Group and Informed Pregnancy® Project, which aims to utilize multiple forms of media to compile and deliver unbiased information about pregnancy and childbirth.